CC's Jewelry in Pearland, Texas, repairs any type of jewelry to be good as new with our trained and experienced professionals. With repair services for any precious metal including gold, silver, and platinum, we can mount and reset stones, match and replace diamonds, perform any soldering needs, pearl stringing, double knotted-pearl stringing, and more, all for a low cost. Make sure you don't lose track of time! 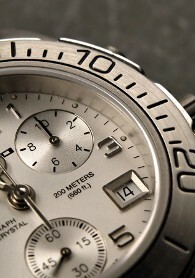 We offer watch replacement of batteries, bands, crystals, mechanisms, and parts as needed. No matter the watch, we fix it without breaking your bank, including quartz, automatic, Rolex™, and more. If there is a part needed that we do not have, we special order it, so don't worry! For just $12.00, most batteries can be replaced. However, we also offer batteries for antique and obscure watches, which could cost more. Contact us to have your favorite piece of jewelry fixed with our quality jewelry repair services.